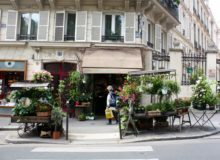 It was by chance that we discovered Les Fleurs d’Aline, a chic boutique fleuriste standing on the rue Notre-Dame-de-Lorette in the ninth arrondissement, in an area between Montmartre and Boulevard Haussmann. With its regal statue and beautiful small boutiques, the street, once home to American poet Langston Hughes, instantly charmed us. 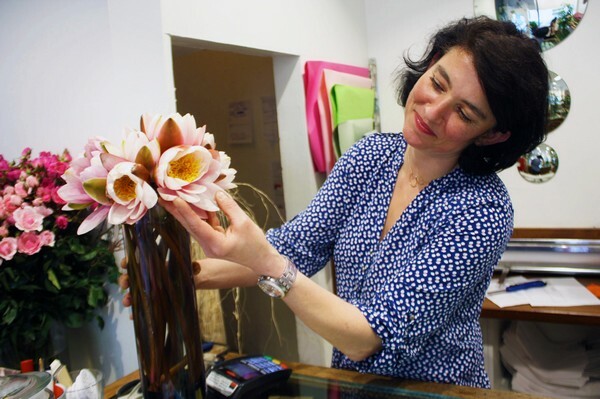 Upon stepping into Les Fleurs d’Aline, we immediately felt welcome after its owner, Aline Profit – a quintessential French beauty in the mold of Audrey Tautou – greeted us with a warm smile. 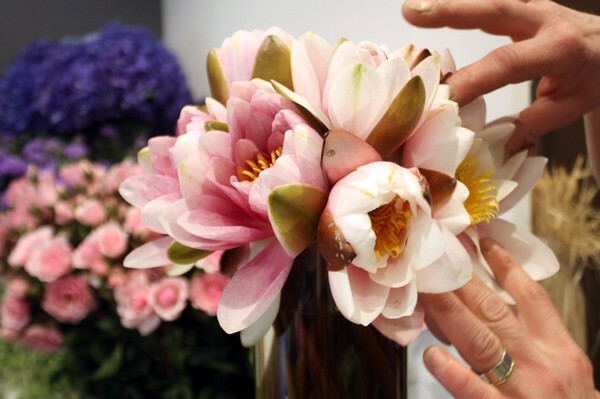 We talked as Aline tended lovingly to a rare pink nenuphar, or water lily, which sat alone in an elegant vase. Carefully pulling back some petals in order to better explain its features, her excitement about the flower was subtle and professional, but irrepressible. 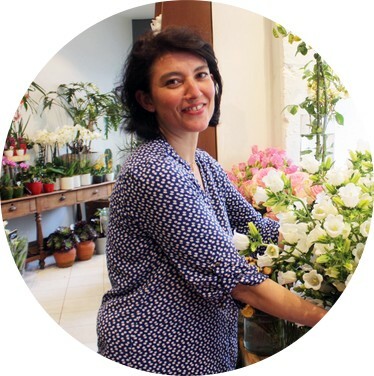 As it happens, Aline is pursuing her childhood passion with her boutique Les Fleurs d’Aline. She started making bouquets for her mother as a girl but now caters to the upscale clientele of this quiet neighborhood. 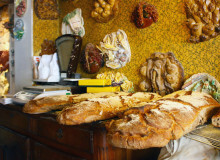 Aline claims that true artisans are becoming scant in Europe, and that Paris is one of the last cities where they can be found. If that truly is the case, then gems like Aline of Les Fleurs d’Aline might be just as rare as the water lily itself. 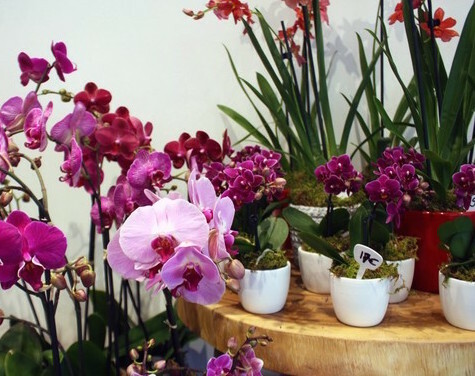 When did you open up your shop Les Fleurs d’Aline in this neighborhood? The boutique opened in August 2014. And you’ve worked with flowers for a long time? Always! And why? 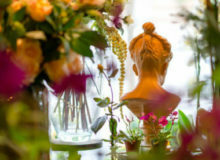 Is Les Fleurs d’Aline a family business, or is it just a passion of yours? It’s been a passion since I was very little. I was born in the country, in Bourgogne. And could you explain your passion a bit? Why flowers? I don’t know why! [When] I was little I liked to make [small] bouquets for my mother, and voilà – the bouquets evolved. It’s not really a question of ‘why’, but ‘how’. I was lucky to move quickly to the capital of France, because I was in Provence. I worked in a beautiful house amongst very beautiful things, making beautiful things. I did a lot of events and receptions at Versailles, at the Louvre, at the Concierge of Paris, on boats and in castles. The events were good, but also very tiring. 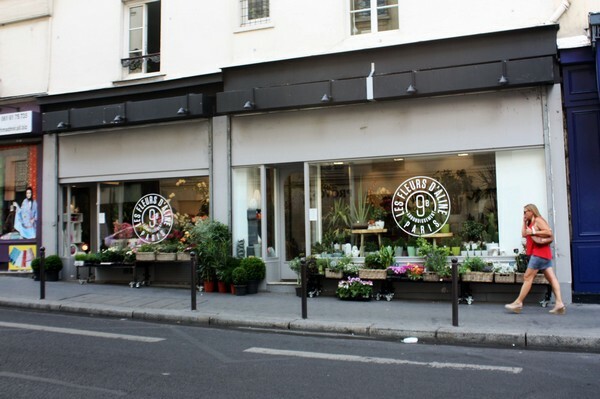 So when my kids [had grown up], I opened up my own shop, Les Fleurs d’Aline. And why did you choose this neighborhood for Les Fleurs d’Aline? Because I love this neighborhood. It’s expanding, evolving. I’m also interested in the ninth arrondissement because it’s rather central; there are a lot of businesses as well as residences. It’s a good mix and it allows me to work all [through] the week. And you like your clients? The clients are adorable, I have no problems! They are very well [educated]. They’re adorable. I have different types of clients: mothers, housewives, husbands, all of society. What are the most popular flowers? Does it depend on the season? Yes, it depends. Me, I work enormously with the seasons. I try to work mostly with French produce, because most of our flowers come from France. Right now, we are in the period of peonies, hydrangeas, bellflowers, sweet peas and black currants – very simple, pastoral flowers. And where in France are the flowers grown? And the rhythm of Les Fleurs d’Aline – can you describe a typical day here? Actually there is no such thing as a typical day for me! It changes all the time. For example, I started at 4.00am today, to make purchases and collect everything. 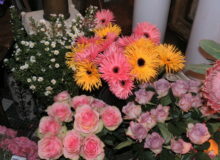 After, I came back to the boutique, unloaded the truck, and prepared the flowers for exhibition. Do you live in Paris? [I live in] Asnières, just nearby. Which are your favorite flowers? I don’t have a favorite flower, because I find them all interesting! But one that amuses me a lot is this flower here – nenuphar (water lily). It’s rare to find. Do you think that the French are very romantic? Yes! And as a matter of fact, that’s why we’re doing these interviews, because artisans are rather rare in the world today. 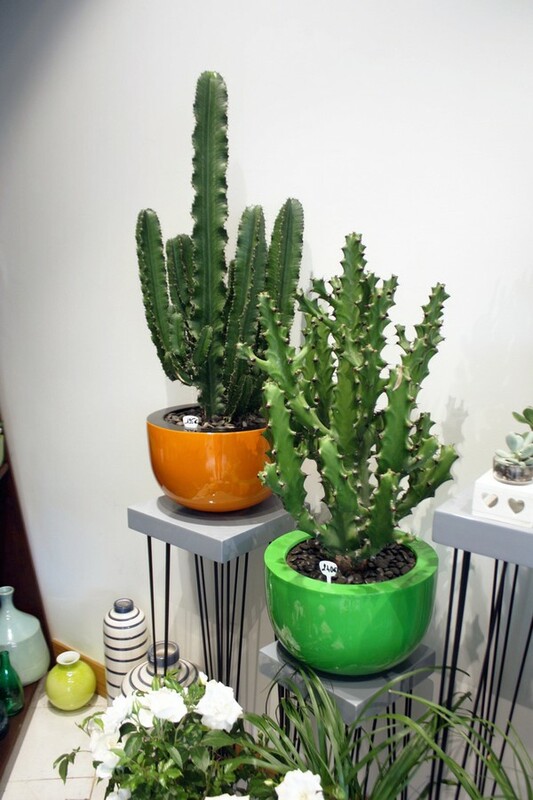 I also noticed that you have these grass plants and cacti at Les Fleurs d’Aline. Is that common in France? It’s true, there are not a lot of plants like that. Most florists don’t have them. I’ve noticed! And are they popular? So, for the grass plants, there are two different families. 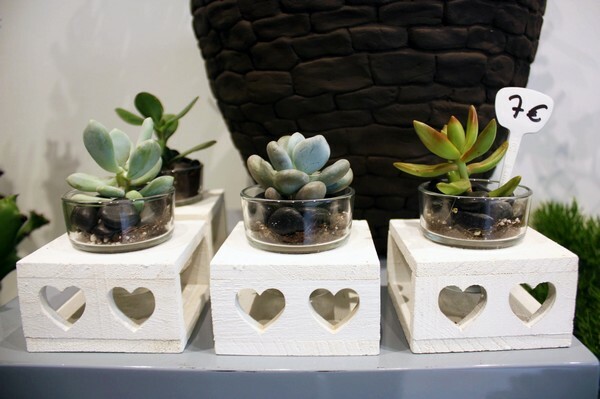 But in general the grass plants have become very fashionable, and the succulents as well. What are your favourite flowers? 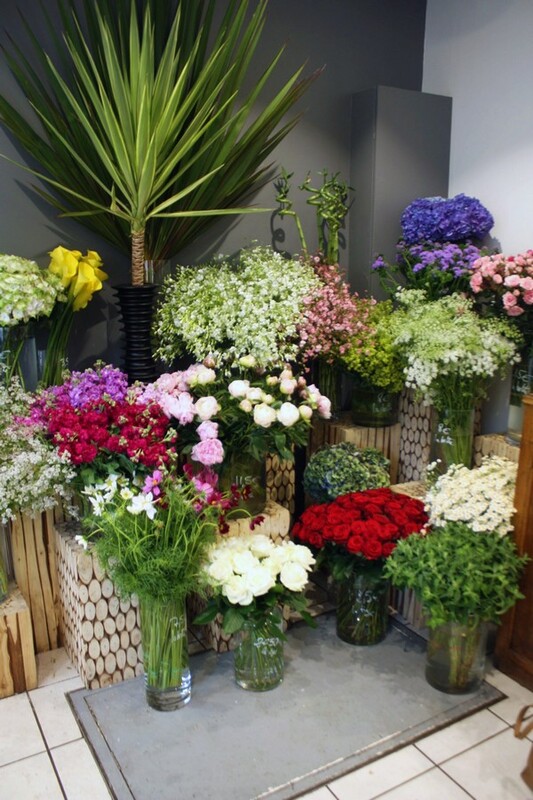 Do you have a favourite florist or have you ever visited Les Fleurs d’Aline? 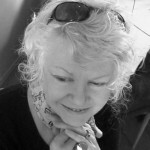 Send us a tweet or a photo @maviefrancaise.